A day out with the MPLR’s Fat Controller…. It doesn’t happen very often that the MPLR’s own Fat Controller manages to get to see another railway but it happened last weekend before all the snow started! Mr and Mrs Fat Controller were on their way back from Dorset when they came across the Moors Valley Railway in the Moors Valley Park. What a wonderful railway it is too! They liked it so much that they made a short film of it and you can see what they got up to by clicking on the button below. Have fun! 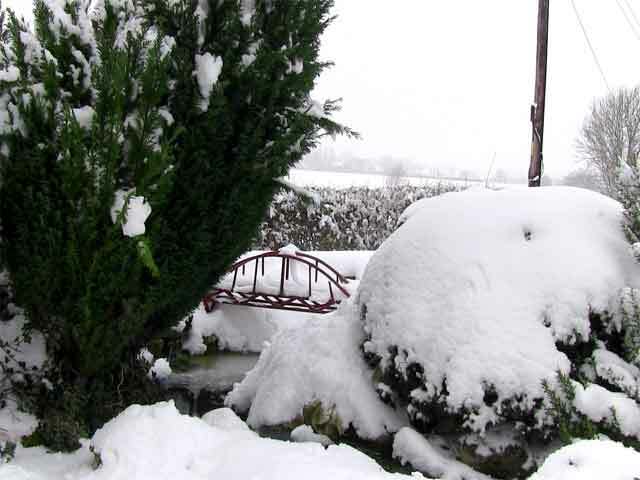 The Moreton Pit Light Railway was completely shut down today due to the severe weather. 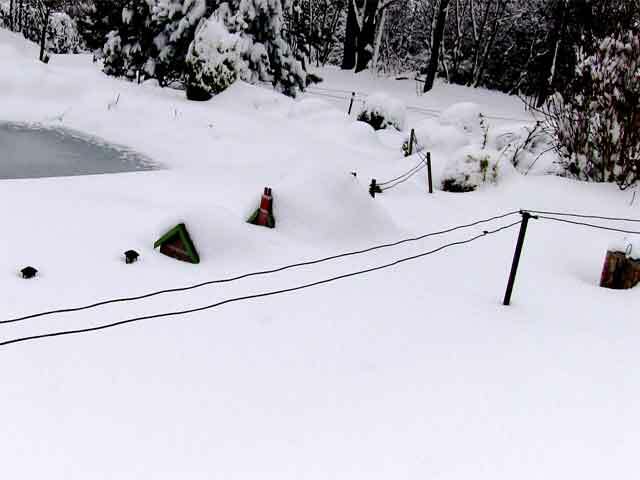 So much snow fell overnight that it was impossible to find the station! Unfortunately, no trains could have run anyway as Red Bridge was impassible. 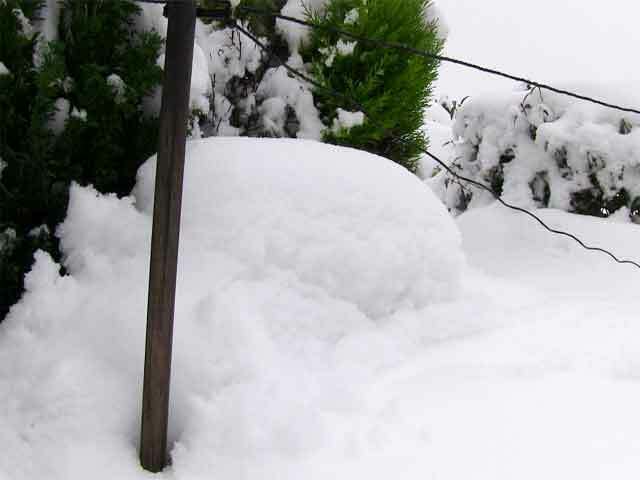 One of the biggest problems was lack of power due to the lines being pulled down by the weight of snow! 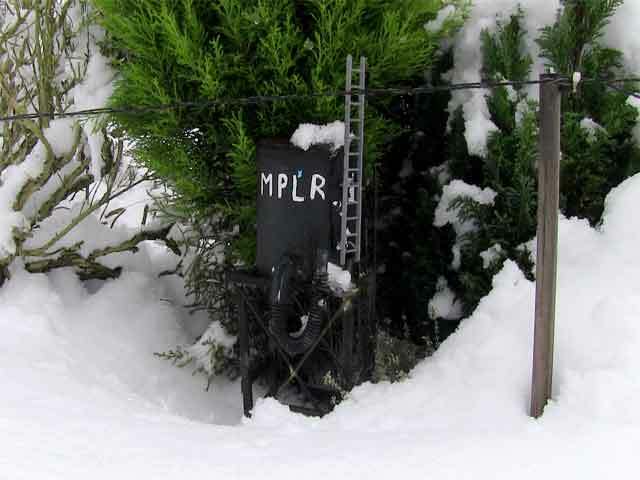 Luckily the old water tower which last year was caught by high winds, managed to withstand the heavy snowfall. And what about the birds on the reserve, we hear you ask? 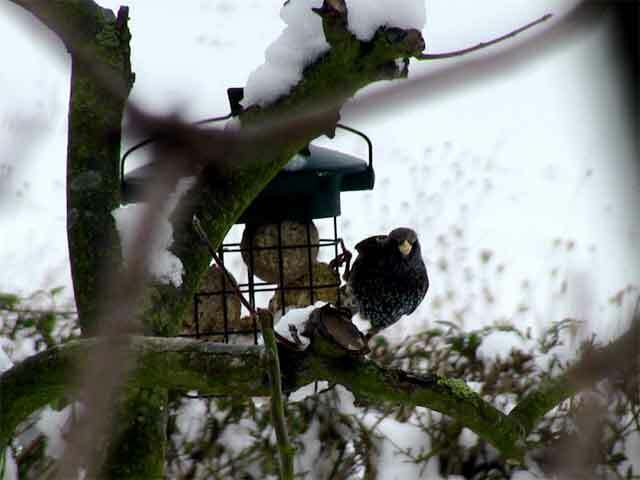 Well, you don’t need to worry about them, Mr Bill Goodie the Reserve Manager has valiantly gone out in thick snow to fill up the bird feeders! Starling having his fill of fat balls!